As a teen, Faith Featherstone made two mistakes. One gets her pregnant, the second lands her in juvenile detention. Eager to do what’s best for all, Faith gives her son to her barren sister. Faith believes she has found the perfect solution. Matthew, will have two loving parents, she will be a part of his life, and he will know his biological father, because her sister is married to the father’s brother. Her only request? Be named Matthew’s legal guardian. Five years later, the unthinkable occurs. Her sister and brother-in-law disappear at sea in a sailing accident. Now Faith fears her shameful past will cost her custody of her son. If Justin Worthington is willing to go to court for custody of the boy he believes to be his nephew, what will he do when he discovers the boy is his son? 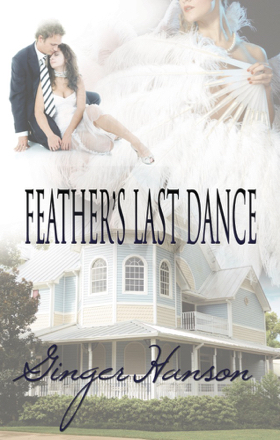 DON’T MISS FEATHER. HERE! TONIGHT! DUSKTODAWN LOUNGE. Justin Worthington eased his too-small rental car into the crowded parking lot beneath the computer-generated sign. Ten feet above him, a female graphics figure danced in the familiar bump-and-grind motion. Judging from the packed parking lot, the entire city of Mobile had no desire to miss Feather. He glanced at the car’s clock. Eleven-fifteen beneath the sign had been his instructions. A large man came out of the shadows by the club. When Justin lowered the driver’s window, humid air still warm from the day’s sun billowed into his face. “Over here, sir.” The man walked to a set of sawhorses that straddled a parking space near the club’s front door. He dragged them out of the way and motioned Justin into the slot. Once parked, Justin turned off the engine and opened his door. The car’s air conditioning lost the battle with the night air and perspiration sheened his body by the time he hauled his five feet eleven inches out of the seat. He should have changed out of his suit, but he’d been delayed by a last-minute crisis in accounting. Getting to the airport had won over going home to change clothes. Justin shook the proffered hand, pleased by Dubrowski’s solid grip, while hoping the detective wouldn’t notice his own damp palm. Not that he could help it, not when he was within minutes of seeing Faith. All the conflicting emotions he’d buried six years ago had risen yipping to the surface this morning. He hadn’t felt this rattled since the night he watched her ride off on the back of Ryan Prescott’s Harley. He released Dubrowski’s hand. “Thanks for meeting me here.” He kept his voice brisk with business, unwilling to let his tone show how much he disliked hiring T.K. Dubrowski and Associates to investigate family matters. But she had left him no choice. “I’m sure you did an excellent job, but...” Justin held out his hand for the envelope. “I prefer looking at these later.” He preferred sitting on a red anthill. He preferred seeing her half-naked in person, or he’d be in Tassanoxie watching television while he ate whatever dinner Willie Mae had made him. “Isn’t it about time for her show?” He glanced at his watch although he really couldn’t see its face in the dark. “Right.” Justin tossed the envelope onto the driver’s seat, reminding himself that if he wanted custody of his nephew he had to prove Faith wasn’t fit to be a guardian. It’d only taken Dubrowski a few days to discover she worked as a stripper at the DusktoDawn Lounge, which gave Justin plenty of leverage. It also made it impossible for him to sleep as images of Faith naked danced through his dreams. She not only stripped, she’d lied to Craig and Laurel, telling them she worked as a server in an upscale restaurant. Why else would his brother and sister-in-law have chosen her over him as Matt’s guardian? Not that Craig and Laurel expected to die and leave Matt in anyone’s care. His shoulders sagged as grief gnawed at his gut. He missed Craig. But this wasn’t the time to wallow in pity, this was the time to take action. He owed it to his brother to take care of Matt, wrestle him from the claws of a lying, stripping, cheating hellion. Righteous anger built with each adjective, stiffening his spine. He slammed the car door, tweaked the door key to lock, unexpectedly relieved he’d worn the armor of a business suit for this moment.